This bill would have provided municipal officers throughout the state with basis due process rights in administrative disciplinary actions against them. This bill essentially provided that they be given written notice of the allegations against them. The right to appeal and have an impartial hearing, wherein they could present witnesses and evidence on their behalf and be represented at their own expense. The bill was assigned to the Senate Judiciary B committee. It was passed by committee with a recommendation for Senate passage. The Senate passed two floor amendments to the bill and then defeated the passage of the bill by a margin of 32 to 19. Yeas --Baria, Blount, Bryan, Butler, Davis V. (36th), Dawkins, Frazier, Harden, Horhn, Jackson R. (11th), Jones, Jordan, Lee E. (47th), Simmons, Tollison, Turner, Walls, Watson, Wilemon. Total--19. Nays --Albritton, Brown, Browning, Burton, Carmichael, Chassaniol, Clarke, Davis D. (1st), Dearing, Dickerson, Fillingane, Gollott, Gordon, Hewes, Hopson, Hudson, Hyde-Smith, Jackson G. (15th), Jackson S. (32nd), King, Kirby, Lee P. (35th), McDaniel, Mettetal, Michel, Moffatt, Montgomery, Nunnelee, Powell, Stone, Ward, Yancey. Total--32. Absent and those not voting--Flowers. Total--1. The intent of this bill was to exempt employees of certain state agencies from the State Personnel Board procedures. This bill would have essentially made most state law enforcement officers and several thousand other state employees AAT WILL@ employees with no appeal rights to terminations or disciplinary actions. 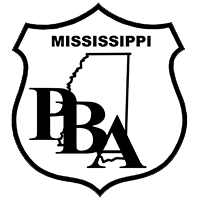 PBA opposed this legislation in that first it is contrary to the employment agreement the state made with these employees and second that it deprives them the right to defend themselves against allegations that may very well be inaccurate or even false. This bill passed the Senate by a vote of 28 for passage and 22 against. The bill was then sent to the House of Representatives and assigned to the Fees and Salaries Committee where it died a very deserving death. Yeas -- Albritton, Brown, Burton, Carmichael, Chassaniol, Clarke, Davis D. (1st), Dickerson, Fillingane, Flowers, Gordon, Hewes, Hopson, Hudson, Hyde-Smith, Jackson G. (15th), Jackson S. (32nd), King, Kirby, Lee P. (35th), McDaniel, Mettetal, Michel, Moffatt, Nunnelee, Ward, Watson, Yancey. Total--28. Nays -- Baria, Blount, Bryan, Butler, Davis V. (36th), Dawkins, Dearing, Frazier, Gollott, Harden, Horhn, Jackson R. (11th), Jones, Jordan, Montgomery, Powell, Simmons, Stone, Tollison, Turner, Walls, Wilemon. Total--22. Absent and those not voting ---- None. Senator Lee E. (47th), who would have voted yea on S. B. No. 2680, announced a pair with Senator Browning, who would have voted nay. The intent of this bill as introduced, was to AMEND SECTION 25 9 107, MISSISSIPPI CODE OF 1972, TO ADD MISSISSIPPI DEPARTMENT OF MARINE RESOURCES TRAINEES TO THE LIST OF CADETS CLASSIFIED AS NONSTATE SERVICE EMPLOYEES; AND FOR RELATED PURPOSES. The bill passed the House. It was then sent to the Senate where it was assigned to the Fees, Salaries and Administration Committee. In this committee the bill was amended to include the same language to remove state employees from under the regulations of the State Personnel Board making them AAT WILL@ employees as contained in SB-2680. It is worthy of noting that this committee is chaired by Senator Terry Brown of Columbus, Ms. who was also the author of SB-2680. The bill passed committee and Senate floor vote as amended. It was then transmitted back to the House of Representatives for concurrence however the bill was allowed to die on the House calendar. Below you can view how your senator voted on this bill after amended to remove employees from under the State Personnel Board. Nays -- Baria, Blount, Browning, Bryan, Butler, Davis V. (36th), Dawkins, Frazier, Gollott, Harden, Horhn, Jackson R. (11th), Jordan, Montgomery, Powell, Simmons, Stone, Tollison, Turner. Total--19. Absent and those not voting--Dearing, Jones, Lee E. (47th), Walls, Wilemon. Total--5. Both of these bills were introduced at the request of PBA and would have provided basic due process for municipal officer in administrative disciplinary actions. The bills were referred to the House Municipalities Committee where they both died. Members: Cecil Brown; Kimberly L. Campbell; Lester Carpenter; Linda Coleman; Bill Denny; Eugene Forrest Hamilton; Gregory Holloway; Rita Martinson; John Mayo; Willie J. Perkins, Sr.; Jimmy Puckett; Walter L. Robinson, Jr.; Greg Snowden; Mary Ann Stevens; Jerry R. Turner. Both of these bills were assigned to the House Appropriations Committee and died in committee. Either of these bills would have required the state to compensate all state law enforcement officers for overtime worked, commonly called AAgency Time@ by the state. Means of compensation included monetary payment, paid time off or retirement credit. AAgeny Time@ is the (11) hours worked between 169 hours and 171 hours in a 28 day period. Currently compensatory time is given however all of the time must be used or lost. If an employee changes departments, or leaves state employment by any means, resignation, termination, retirement or death, these hours are lost. It is as though they were never worked. Employees are prohibited by the state from taking AAgency Hours@ off if they have any other overtime which has been classified as FLSA compensatory time. FLSA time must be depleted first...why? Because under federal law the state must compensate employees for FLSA overtime, but the federal law does not apply to agency time. Nearly, if not all state employees other than law enforcement personnel do not have this problem since any hours worked over 160 hours in a 28 day period are covered under FLSA. While it appears that the various state law enforcement departments manage their overtime in different ways, the same laws apply. Some do a good job of managing overtime, others do not. Officers with Mississippi Department of Corrections for example have been known to loose compensation for as much as 250 hours of overtime worked that was classified as AAgency Time@. Even now, many MDOC officers at correctional facilities have been being required to work double shifts on a regular basis for many months accruing many hours of overtime.